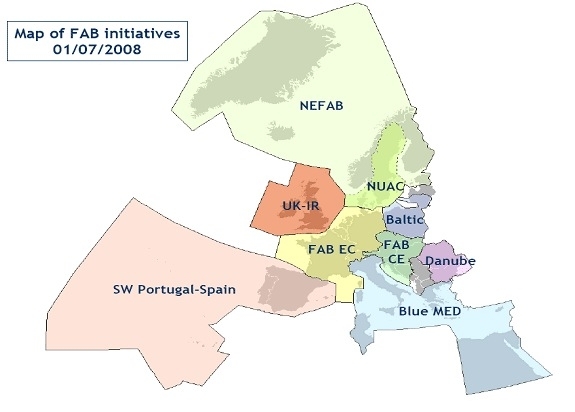 The objectives of the BLUE MED FAB are not limited to the full implementation of the Single European Sky in the territory of Member States but also include the full or partial integration of neighbouring non-EU States’ Flight Information Regions within the FAB. This can be achieved when these States adopt parts or all of the European Aviation Acquis that will allow them to take an active role within the FAB. There are advantages to both non-EU States as well as to the BLUE MED States and the European Union: firstly, the former will be able to raise their ATM standards, opt for the deployment of SESAR in their territory (and possibly become integrated in route charges collection systems); secondly, the applicability of the SES legislation will extend beyond the EU borders and finally lead to a safer and more harmonized cross border situation at the boundaries of the Flight Information Regions of all States concerned.